American Express today announced plans to eliminate signature requirements when customers make credit or debit card purchases, joining both Mastercard and Discover. All three companies plan to stop asking customers to provide a signature when making a purchase in the United States and Canada starting in April of 2018. The change is designed to allow for a more consistent, streamlined, and speedy checkout experience for both merchants and cardholders. Credit and debit card companies have long required signatures for purchases as an added security measure, but with technology improvements that include contactless payments and the adoption of EMV chip technology, signatures are no longer a necessity. "The payments landscape has evolved to the point where we can now eliminate this pain point for our merchants," said Jaromir Divilek, Executive Vice President, Global Network Business, American Express. "Our fraud capabilities have advanced so that signatures are no longer necessary to fight fraud. In addition, the majority of American Express transactions today already do not require a signature at the point of sale as a result of previous policy changes we made to help our merchants." American Express has already phased out signature requirements for purchases under $50 in the United States, as have other credit card companies, and the complete elimination of the signature is a shift that consumers are likely to welcome. Doing away with signature requirements for credit and debit card transactions will also streamline the Apple Pay process in the United States when using a Mastercard, Discover, or American Express card. 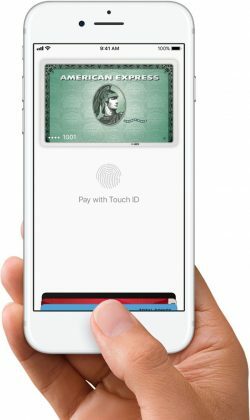 With Apple Pay, a signature can on occasion be required for purchases over $50 in the United States, a step that may be eliminated once the card changes are introduced. Apple Pay customers in other countries that have similar restrictions may also see them lifted when using American Express, but there are locations like Canada where contactless payments are not permitted for large purchases. In these situations, there will be no improvements to the Apple Pay process. While Mastercard and Discover have said the change applies to the United States and Canada, American Express plans to eliminate signature requirements globally on purchase transactions of all amounts. Merchants are, however, still able to collect signatures if required to do so by an applicable law in a particular jurisdiction. Paying with Apple Pay on my AW, with no need to sign anything, is by far the best payment method ever. And Apple at its best. The UK phased out the signature requirement yearssssssss ago! Am I missing something here or is the US seriously Neanderthal?! You're looking at it backwards. The US treats its card users like Kings and Queens. No need to remember a PIN. Our signature is good enough. Based on the last year or so -- Yes we are. Yes, the UK and other countries phased out compulsory use of the old signature and magnetic strip... I’d guess early 2000’s? I can’t understand why other developed countries have taken so long. The signature has meant nothing for years. It's rare for a merchant to check the signature anymore. who signs for apple pay now anyways? I used ApplePay four times this past Saturday. The only time I didn’t have to sign was at the Apple Store. So, I guess the answer to your question is ME, at least. Biggest culture shock for Canadians is to go down south and sign on all receipts. I've visited the US about twice a year for the last 10 years ago... the last time, about a month ago, was the first time I've really started to encounter chip & pin in the US... although only at a couple of places, including one restaurant it was a case of hand card to server, wait, have server come back and ask for the "password", follow server over to counter, go behind counter, enter PIN in terminal and then sign the slip anyway. 2017 in the UK is more like "contactless pay-by-tap for all transactions under £30 becomes widely available".